I know a man in Christ who fourteen years ago was caught up to the third heaven. Whether it was in the body or out of the body I do not know-God knows. And I know that this man-whether in the body or apart from the body I do not know, but God knows-was caught up to paradise. He heard inexpressible things, things that man is not permitted to tell (2 Corinthians 12: 2-4). 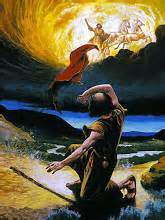 The prophet Elijah was taken up to heaven alive in a whirlwind as his friend Elisha watched (2 Kings 2:11). Stephen, a faithful follower of Christ saw heaven as he was being stoned to death. But Stephen, full of the Holy Spirit, looked up to heaven and saw the glory of God and Jesus standing at the right hand of God. Look…I see heaven open and the Son of Man standing at the right hand of God. 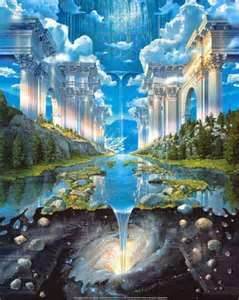 (Acts 7:55, 56)Then there are the most well known visions of heaven described to us by John in chapter 21 of the book of Revelation. It is natural for humans to have questions about heaven. As a sincere Christian I have no doubt whatsoever that there is an afterlife, that being – Heaven for believers, Hell for unbelievers. 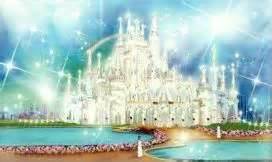 God has revealed to all people in His Word that heaven is a real place. It is a special place which He has prepared for all who love Him and have faith in His one and only Son, Jesus Christ. Still, in spite of all His promises to us regarding heaven, we are apprehensive. We have a certain amount of fear of the unknown, and I think a fear also of the absence of what we consider to be “normal”. We picture ourselves as spirits floating in space because we can’t imagine life without our physical bodies. Due to our human nature, we also have an undying curiosity about what it is like and a desire to know more. So why doesn’t God tell us more? Let’s think about that for a minute and come back to it. I recently read a book entitled “Proof of Heaven” by Eben Alexander. It was a very compelling book. Eben Alexander is a Doctor – a Neurosurgeon. In the prologue of his book he attests to many years of study of the brain and neuroscience. He was involved with the development of advanced technical procedures such as what is called Stereo-tactic Radio-surgery, a procedure which guides beams of radiation to specific targets deep in the brain without damaging or affecting adjacent areas. He also played a part in the development of Magnetic Resonance image-guided (MRI) neurosurgical procedures to repair brain conditions such as tumors and vascular disorders, and he authored and coauthored several papers for medical journals. Dr. Alexander states; In short, I devoted myself to science. Using the tools of modern medicine to help and to heal people, and to learn more about the workings of the human body and brain was my life’s calling. During his years of experience and study as a Neurosurgeon Dr. Alexander had heard many stories of Near Death Experiences. He had heard people tell of being drawn toward a light, traveling to mysterious, wonderful landscapes, talking to dead relatives and even meeting God face to face. His personal feeling was that it was, in his own words, wonderful stuff, but pure fantasy. He admitted that he had no idea what caused these experiences, but he felt that they were brain based. In other words he felt that there must be some level of consciousness in the brain for an NDE (Near Death Experience) to take place. He did not really believe in God or life after death, although for the sake of his wife and children he did attend church on special occasions. Dr. Alexander explains that most NDE’s happen when the heart stops. In these cases the Neocortex of the brain is still alive. The Neocortex is the outer surface of the brain and in his words; it is the part of the brain that makes us human. It makes us who we are. When oxygen is restored to the Neocortex within a certain amount of time it is able to revive itself with little or no damage. At age 54 Dr. Alexander contracted E. coli meningitis, a form of meningitis which is very rare in adults. It put him in a coma for 7 days. He states that during this time his Neocortex was completely shut down. When the Neocortex of the brain dies, there is no life or level of consciousness and no hope that life can be restored. By all intents and purposes he was dead or we might refer to his condition as being brain dead. While in a coma Dr. Alexander claims to have had a taste of the beauty of heaven. His descriptions are very awe inspiring and comforting. As in Paul’s vision described in the verses above from 2 Corinthians, what Dr. Alexander saw and experienced is beyond human understanding. In fact the picture described by Dr. Alexander is very similar to that of the apostle Paul. Paul states that he himself heard inexpressible things, things that man is not permitted (or able) to tell.Dr. Alexander states; I could heap on one adjective after another to describe what this world looked and felt like, but they’d all fall short. physical world we live in here on earth, but of a different dimension. Through this experience Dr. Alexander was led to understand and believe that we have a God who loves each of us and indeed does have a special place prepared for all who love Him. His journey was a little different than many NDE’s I have read about. It almost seems as if in the beginning he got a glimpse of hell rather than heaven. He describes a thick transparent mud in which animal faces would bubble up, groan or screech and then disappear. He describes hearing a dull roar which would change to the sound of pounding, distant yet strong and mechanical and a rhythmic chanting. He states that these sounds were terrifying yet weirdly familiar. He felt no sense of time and no sense having a body. He describes reptilian, wormlike creatures crowding past him and occasionally rubbing up against him. He was aware of a smell – like feces, blood and vomit – basically the smell of death. At this point he states that he began to have a feeling of claustrophobia and panic – a feeling of being trapped. He was later told that as he entered the ER he was, in his own words; squirming like a six-foot fish out of water. He was also making garbled and nonsensical sounds and animal-like cries. Perhaps this was his body’s reaction to what his mind was seeing and experiencing, but one would not be able to say that for sure. At the very point when he was beginning to feel trapped and panicky his experience began to change from that of dark, ugly and terrifying to a feeling of light, love and safety. His description of Heaven is amazing and comforting. I will not attempt to repeat it here. If you are truly interested in hearing it, the book is available in eBook form and also in hardcover and audible CD from Amazon. I believe that, like people of old, God allows people of today to sometimes see heaven and in some cases, hell through a near death experience. Some NDE’s seem to be more believable than others, but what is unique about Dr. Alexander’s experience is the circumstances. As he explained in the book most NDE’s are a result of the heart stopping, in which case the brain is still alive. When the brain is alive there is some level of consciousness which would allow for the possibility to dream. But in his case his brain had basically died and was not functioning at all. Since his brain was not functioning there would have been no level of consciousness in which he could have been dreaming. Humans do not recover from brain death. Once the brain dies, the body may live for a time with the help of machines, but the brain does not recover. The fact that he is now not only alive, but normal is a miracle. I have been taught that when a seemingly spiritual experience leads you to God and to His word for answers, it is from God. If it leads you away from God, it is from Satan. For example if Dr. Alexander’s experience would have lead him to a palm reader or a psychic for answers rather than to the Scriptures and belief in God, as real as it would have still been, it would have been a trick of Satan. God works in mysterious ways. I don’t know or understand why Dr. Alexander experienced the scary, hell like scenario before he experienced the heavenly one. According to Scripture when we die the souls of believers go directly to heaven to be with God (The time came when the beggar died and the angels carried him to Abraham’s side… Luke 16: 22) and unbelievers go directly to hell (Man is destined to die once, and after that to face judgment…Hebrews 9:27). Possibly there was some physical explanation for it, although according to Dr. Alexander there doesn’t seem to be. It may have been God’s way of leading him to see and believe that there is indeed a heaven – and a hell in the afterlife. Before this experience his scientific brain and human logic reasoned that when we die, that is it. We are done. We are buried in the ground and it’s over. In the prologue of his book he states; Now thatI have been privileged to understand that our life does not end with the death of the body or the brain, I see it as my duty, my calling, to tell people about what I saw beyond the body and beyond this earth. I don’t know what Dr. Alexander’s personal beliefs are at this time regarding God. He states in the book that before his illness he considered himself a “C & E’er” (Christmas and Easter). He was one of those people who only darken the door of a church at Christmas and Easter. In truth he didn’t believe in the soul and the spirit. He didn’t believe in life everlasting. Now he does. He does not go into detail about his beliefs other than to acknowledge that we have a God who loves us and that He is the center of our universe. and fit for heaven. “Faith” comes to us from the Holy Spirit through reading and hearing God’s word and through baptism. Although he doesn’t state it specifically, I hope and pray that Dr. Alexander understands and believes this. God’s “Grace” is the undeserved and unconditional love which He has for all sinners. Heaven is God’s promised reward to all who believe in Jesus as their Savior from sin, and who love Him. Those who reject Him and disregard His sacrifice will not enter heaven. So beware! Just because you believe there is a heaven doesn’t mean you will automatically go there when you die. You believe that there is one God. Good! Even the demons believe that – and shudder (James 2:19). In the same way, just knowing and believing there is a heaven is not your free ticket to go there. Oh, it is definitely free. There is no charge and nothing we can do on our own to get there. But only those who have faith in Jesus will go to heaven when they die. Jesus tells us; I am the resurrection and the life. 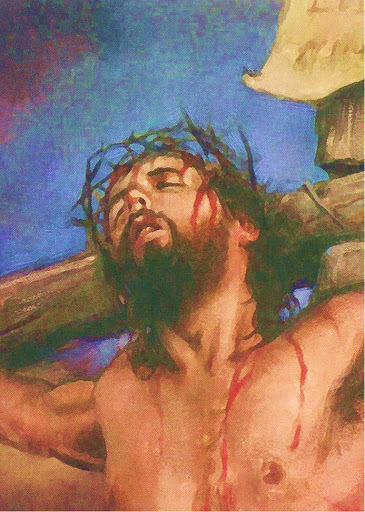 He who believes in me will live, even though he dies; and whoever lives and believes in me will never die (John 11:25). Faith is the rope that attaches us to Jesus and keeps us from getting lost in the pleasures of this world. God’s word reminds us; for it is by grace you have been saved, through faith – and this not from yourselves, it is the gift of God – not by works, so that no one can boast (Ephesians 2:8, 9). Although God does allow Near Death Experiences according to His good purpose at times, His word is still the best source to find answers regarding our questions about heaven and the afterlife. Does it seem incomplete and difficult to understand? Yes it does because it is beyond our understanding. God tells us in His Word only what we need to know for our salvation. He asks us to trust Him. He wants us to put our faith in Him. The writer to the Hebrews tells us; Now faith is being sure of what we hope for and certain of what we do not see…and without faith it is impossible to please God, because anyone who comes to him must believe that he exists and that he rewards those who earnestly seek him (Hebrews 11;1, 6). On the day God calls us to our eternal home we will see and understand heaven perfectly. Now we see but a poor reflection as in a mirror; then we shall see face to face. Now I know in part; then I shall know fully, even as I am fully known (1 Corinthians 13:12). The picture of heaven which God allows us to see now through Scripture doesn’t make a lot of sense to us because it is beyond the understanding of our human minds and is blocked by our physical world, but we do know that it is a beautiful and awesome place – a place of safety, light and love. 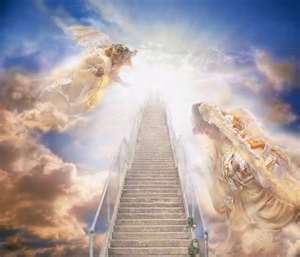 When we get to heaven and meet God face to face it will all become perfectly clear. We will be reunited with our family members and friends who have gone before us, but we will all be members of one family – the family of God. Those who believe in Jesus as their Savior from sin are attached to Him by faith and have nothing to fear. Those who do not believe in Jesus are not covered with the holiness of His blood. When they die they will go to Hell where there will be never-ending suffering, pain and darkness. The presence and light of God will not be there. Are you one of those people who don’t have faith in Jesus? There is still time although life is fragile and can be taken from you in a moment. This earthly life is our “time of grace”. God’s gift of grace is for you also and it is free. You can do nothing on your own to attain it. It is a gift from the Holy Spirit which comes to you through reading and hearing God’s Word and through baptism. Consequently, faith comes from hearing the message, and the message is heard through the word of Christ(Romans 10:17). “Good News” of salvation through faith in Christ. The Holy Spirit will open your heart and give you a new life. You will be free from the chains of sin that hold you and make you feel worthless and unlovable. Through faith you will be covered in the blood of Jesus which will make you holy in God’s eyes and perfectly fit for heaven. You will no longer need to fear death and hell because you will be protected by the blood of Jesus. On the day you are called from this earth you will go immediately to heaven. In regards to my statement; we picture ourselves as spirits floating in space because we can’t imagine life without our physical bodies. I am a person who dreams a lot. My body is not really present in my dreams, but I am not aware that it is missing. Possibly this is similar to the way it will be in heaven. We will be present and active, but will not be aware that our body is not with us. On the last day when Jesus returns to earth our souls and bodies will be reunited and we will be completely whole again, but without sin and all the heartache and pain that it brings. What a wonderful day that will be. God does allow Near Death Experiences at times according to His good will and purpose. It is rather rare and is not something we should expect or count on. God doesn’t tell us more about heaven because it is beyond our human understanding. 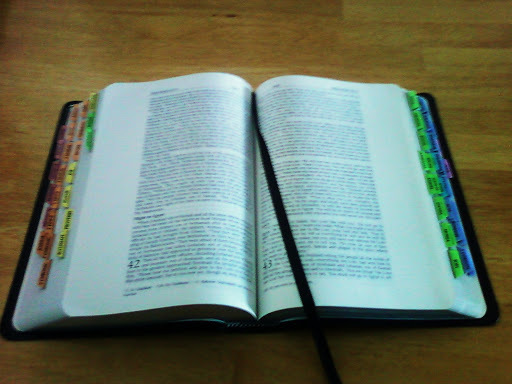 The Bible is the best source for answers to our questions about heaven. We should trust in God’s promises and turn to Him in faith for all that we need. He is our comfort in life and in death. He is present with us at all times and promises to never leave us. We should take Him at His word and not expect more than that. We can be confident that when we put our trust in Him and make Him our priority, He will allow us to see and feel His presence in our lives.